Hooly hell, what you got? 😮 Im gonna play that game much more now but bigger bets. 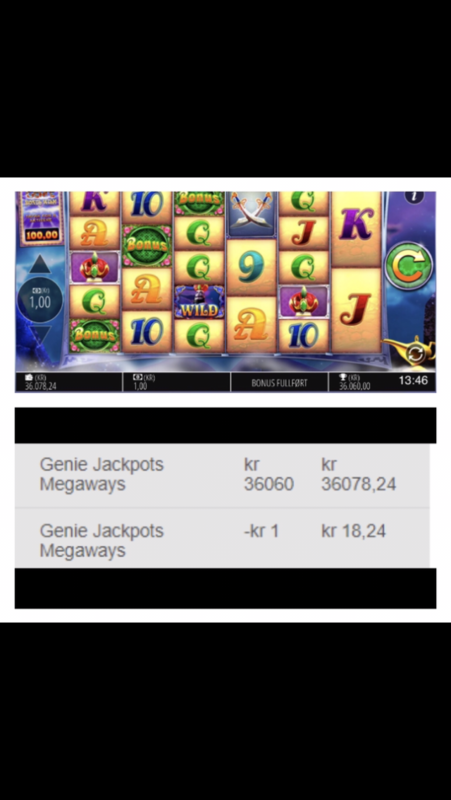 Spins on this slot are normally not so fast so I dont notice the 3 sek delay for swedish players that much! GRATTIS! INSANE !!! I've never seen a win like this ! You are one lucky man ! which bonus did you get? Mystery symbol. Almost max ways of the genie jackpot symbol!